Bruce D. Snyder, CFP®, CKA® Born in Indiana as the second oldest of ten children, Bruce attended college at Indiana Central College with a major in business. He came into the financial services business in 1974, established Snyder Financial Group in 1985, and then completed his CFP designation in 1987. 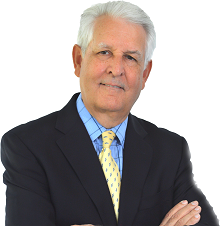 He has completed numerous courses in estate planning, retirement life planning, retirement income planning, asset allocation and wealth management. As an active leader in his church, Bruce enjoys helping people plan for a better future and charitable planning. His hobbies are reading, golf, gardening and sailing.